Fox Park is a small community at 9,000 feet in the Rocky Mountains of Southern Wyoming. Far away from any lights, it is a favorite site among local astronomers. Here the Milky Way shines with a brilliance that can only be found in the thin air of the Rocky Mountains. 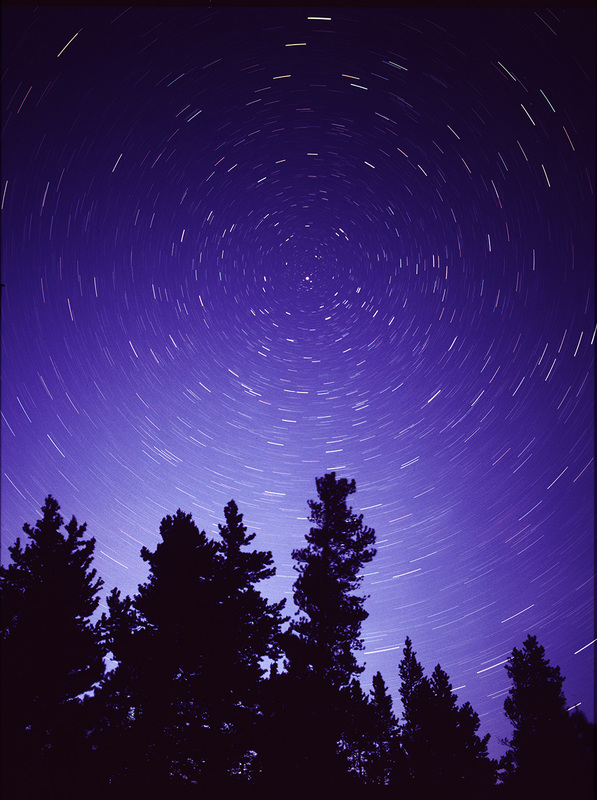 This star trail photograph was taken with a Pentax 6x7 camera. The camera was set on a tripod and aimed at the North Star Polaris. The shutter was set to B and locked open for twenty minutes. The very faint glow on the horizon is from Laramie Wyoming.